By throwing Pastor Yosef Nadarkahani back into Lakan Prison in Rasht. The Iranian Christian pastor who had been imprisoned in Iran for converting from Islam to Christianity was taken into custody again on Christmas Day, according to several Iranian media sources and individuals close to the pastor and his family. 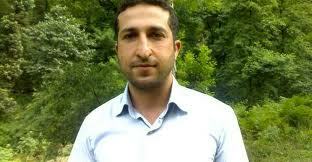 Youcef Nadarkhani, 35, had been summoned to return back to Lakan Prison in Rasht, the facility where he served time and was then released, based on the charge that he must complete the remainder of his sentence, according to several reports and confirmed by those close to Nadarkhani in Iran. In September, the pastor was acquitted of apostasy, but the court maintained his three-year sentence for evangelizing Muslims. As he had already served close to three years, the pastor was freed after posting bail. The court had then stated that the remainder which equaled roughly 45 days, would be served in the form of probation. Nadarkhani, married and father of two young children, came under the regime’s radar in 2006 when he applied for his church to be registered with the state. According to sources, he was arrested at that time and then soon released. In 2009, Nadarkhani went to local officials to complain about Islamic indoctrination in his school district, arguing that his children should not be forced to learn about Islam. Since Nadarkhani’s release in September, his attorney, Mohammed Ali Dadkhah has been imprisoned and remains in Iran’s notoriously brutal Evin Prison where his health is rapidly deteriorating and is being denied proper dental care, according to his family. He has been incarcerated for advocating Nadarkhani’s case and other human rights cases. After his release, Nadarkhani wrote a public letter thanking all those who helped release him. In November, he traveled to London to speak at a national human rights conference thanking those who advocated on his behalf. Any of those “solutions” will please the corrupt government of Iran. A government with no conscience and no morals. The UN’s Declaration of Human Rights gives every person on the planet the right to believe what they wish to, what their conscience leads them to, what they want. The Islamic Republic of Iran demands that everyone worship the Moon god Allah. No alternative to becoming a member of this cult. Pray for the safety of Pastor Yosef Nadarkhani. This is a true Man of G-d, whose love for G-d and his fellow man knows no bounds.